The 54th Annual LDA International Conference, February 16 – 19, was a grand success! Attendees from all over the US and from many other countries enjoyed four days of learning, networking and sightseeing at the beautiful Baltimore Marriott Waterfront at the Inner Harbor. LDA of Maryland was the perfect host. Led by Judy Lantz, LDA of Maryland President, the Maryland volunteers did a wonderful job all week by supporting the national staff and the 900 attendees. A special thank you to Bonnie Massimino for managing all the Maryland volunteers. The week began by many of the LDA state affiliate representatives visiting their congressional representatives in Washington, D.C. led by the LDA Public Policy Committee and Myrna Mandlawitz, Director of Public Policy. As the presidential administration changes, it is especially important for Congress to understand the needs and concerns of children and adults with learning disabilities. The LDA Membership Reception, a popular event, was attended by hundreds of members anxious to start networking and checking in with their state affiliate leaders. A big thank you to the Membership Event sponsors – The Gow School, Executive Functioning Success, Williams Syndrome association, Institute for Multi-Sensory Education, Huntington Learning Center, and LDA. A special thanks to the Affiliate Support/Membership Committee for making the reception happen. The LDA Program Committee, led by Jenn Harkins and Lori Parks, put together an exciting program that served professionals and parents and offered sessions for adults with learning disabilities. There is no better way to open a conference than to have Dr. Edward Hallowell, Founder of the Hallowell Centers, speaking to teachers and parents. His message was so important to hear – we are individuals and there many ways of supporting children and adults with learning disabilities – no one way works for all people. Dr. Hallowell shared the latest happenings in psychological and education topics. On Friday Philip Zelazo, Ph.D., from the Institute of Child Development, University of Minnesota, spoke on “Executive Function: A Foundation for Learning and Adaptation” – one of the most talked about topics at the conference. Dr. Zelazo was hugely popular and there were numerous requests for follow up material and recordings of his talk. Saturday’s keynote session was given by Nadine Gaab, Ph.D., Boston Children’s Hospital and Harvard Medical School. Her talk, “The Typical and Atypical Reading Brain: How a neurological framework of reading development can inform educational practice and policy” was fascinating and when completed, folks begged her for follow up material. 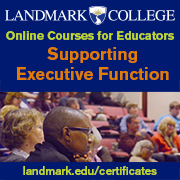 Dr. Gaab’s session was sponsored by Landmark School. Thank you! Amazing Medical/Genetics Workshop – “Neuro-Developmental Disorders: The State of the Science and Implications for Practice” by Jeffrey Gruen, M.D., Yale University and Jan Frijters, Ph.D., Brock University, Canada – was one of the most important subjects presented. They addressed the current state of intervention for children with profound reading delays. New evidence on the neuro-biological mechanisms that contribute to learning disabilities and other disorders were discussed. A special thank you to the New Hampshire Charitable Foundation for sponsoring this session. There were over a hundred and sixty sessions devoted to a range of subjects including – early childhood, assessment, technology, advocacy, adult transition and post-secondary, professional preparation, parents/families, urban education, instruction, mental health, and cultural diversity. Attendee evaluations showed that “hands on – how to sessions for teachers” were so appreciated. The technology sessions and the LDA Assistive Technology (AT) Solutions Lab offered demonstrations, solutions and accommodations for students with learning disabilities. There were many favorite sessions that showed a high level of expertise of the presenters. Thursday favorite sessions – “Conquering the Fear Factor: Helping Kids Turn Fear of Failure into the Fuel of Success” by Jerome Schultz; Ph.D., “Top Fifteen Positive Behavior Interventions that Can Increase Academic Success” by Beverly Johns; “Keeping Up with the Times: Changing in Accommodations Decision Making” by Nora Pollard and Loring Brinckerhoff; “Assistive Technology for Literacy: The Best Tool for the Task” by Bill Keeney; and “The Reading-Writing Link: Strategies to Strengthen Comprehension and Composition” by Wendy Salisbury. Friday favorite sessions – “Evidence -Based Strategies to Motivate Students Who Struggle with Writing” by Lori Parks; “Assessment in the Early Childhood Years” by Doris Johnson, Ph.D.; Metacognition in the Classroom: Teaching Students to Think about Thinking’” by Bruce Miller; “ADHD and Self-Regulation: Gaining Control Over Self-Control” by Melinda Parrill, Ph.D.; “What’s the Plan? Implementing Strategies to Improve Executive Function” by Lauren Polinsky and Casey Wilkinson. Saturday favorite sessions – Education Workshop by Allen Broyles, Scott Hamilton and Nancy Cushen-White; “True Grit: Building Resiliency in Students with Learning Challenges” by Roger Fazzone and Jennifer Scully; “Managing Behavior and Developing Life Skills: Techniques and Strategies Designed to Support Youth and LD & ADHD” by John Willson; “Unlocking Potential: Powerful Tools from Neuroscience and Psychology” by Rebecca Resnik and Jennifer Engel-Fisher; “Designing Accessible Online Tests for Students with Learning Disabilities” by Shari Butler, Steve Noble, Sam Dooley, Holly Woodruff, and Jan McSorley. Sunday favorite sessions –“Reading for Meaning – Fluently” by Elaine Balum; “Effective Progress Monitoring for All Learners” by Mark Miller and Thomas Brown; “Learning Disabilities and ADA 2017” by Pat Latham; “Study Skills for Secondary Students: A Multisensory Approach” by Ruth Brodsky; “Practical Neurocognitive Classroom Intervention Strategies for Students with Learning Disabilities” by Sarah Avtzon. From the grand opening of the Exhibit Hall on Thursday morning until Saturday afternoon, the Exhibit Hall was filled with a wide selection of exhibitors that offer all kinds of support for children and adults with learning disabilities. Publishers, schools, and innovative technologies joined with the LDA Bookstore, the LDA AT Solutions Tech Lab and the LDA Membership Booth that made the hall a fun place to visit. The Adult Luncheon featured Janeen Steel, a California Attorney, as speaker – “Journey from Instinct to Intellect.” The well attended luncheon also featured the presentation of the Harry Sylvester Award to LeDerick Horne of Somerset, New Jersey. The Assembly of Delegates was a showcase for the Affiliate highlight awards – exciting to see what the states are doing to encourage membership and to support children and adults with learning disabilities and their families. LDA thanks the New Hampshire Foundation which awarded ten teacher scholarships again this year. The teachers had a great week and thanks to BJ Wiemer and Jeanne Asher for sharing with these great teachers all week. There were also parent scholarships awarded and this group participated all week and especially enjoyed Parent’s Day – lots of sessions of interest to parents from early childhood to adult transition. Teacher Scholarship Winners were Sophia Adem-Campbell, Tennessee; Sharae Allen, New York; Michelle Bright, Florida; Anny Chuan, Virginia; Samantha Fountain, Illinois; Rebecca Peacock, Illinois; Abigail Poltevint, Texas; Faith Schneider, Wisconsin; Eileen Tresansky, New Jersey; and Mary Wardrip, Kentucky. Parent Scholarship Winners were Robin Huesca, Washington; Lauren Kane-Sample, Virginia; and Tracy Norris, California. The LDA App used for the second year was successful with attendees and more folks used the app to communicate with each other, to evaluate sessions, receive handouts and follow the activities of conference week. The Baltimore Conference wrapped up with the LDA Awards Brunch on Sunday. The crowd was treated to a performance by violinist Veronica Zulauf, who played beautifully. LDA was so pleased to have David Allsopp as the luncheon speaker. Dr. Allsopp is Assistant Dean, Educator Preparation and Partnerships David C. Anchin Endowed Chair and Director, David C. Anchin Center College of Education, University of South Florida. He spoke on “Love, Wonder, and Laughter are the Best Medicine.” Dr. Allsopp received the 2017 LDA Educator of the Year Award earlier in conference week. President Pat Lillie presented the President’s Award to Jonathan Jones, Wyoming. The brunch truly was a successful end to a successful conference. 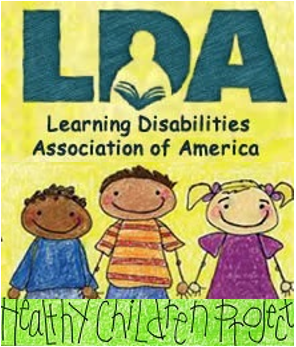 Finally, a big thank you to LDA President Pat Lillie and the board of directors for a productive year on behalf of children and adults with learning disabilities. 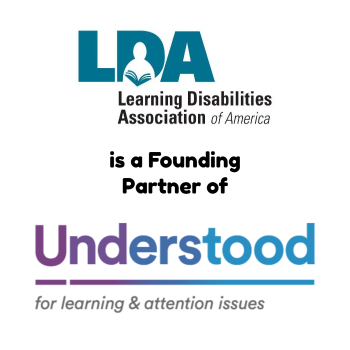 A big thank you to the state affiliates who continue to support and educate those in need on behalf of LDA. A big thank you to Mary-Clare Reynolds and the office staff – they are there for all of us and make everything work. A big thank you to the Conference Committee – BJ Wiemer, Sandra Britt, Jeanne Asher, Candace Joles, Connie Parr and Holly Rice. And to all who pitched in to help, when volunteers became ill, when speakers became ill, thank you, thank you – you made all the difference. Ann Kornblet, Conference Chairman, was State President of LDA Missouri, a member of the LDA Board of Directors, chaired several different committees, and is a Past President of LDA of America.